CALGARY, Alta. 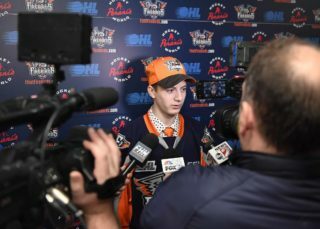 – Flint Firebirds’ Head Coach Ryan Oulahen is one of three coaches that have been tasked to lead Canada’s National Men’s Summer Under-18 Team for the Hlinka Gretzky Cup, which debuts in Alberta Aug. 6-11, 2018, in Edmonton and Red Deer. The Hlinka Gretzky Cup features the best under-18 players from around the globe in a premier best-on-best international hockey tournament. In the 27-year history of the event (formerly known as the Ivan Hlinka Memorial Cup), Canada has won 21 gold medals, including capturing gold last year in Breclav, Czech Republic, with a 4-1 win over the Czechs. André Tourigny (Nicolet, Que./Ottawa, OHL) will take the reins behind the bench as head coach, while Mitch Love (Quesnel, B.C./Saskatoon, WHL) and Ryan Oulahen (Newmarket, Ont./Flint, OHL) will serve as assistant coaches during selection camp and at the Hlinka Gretzky Cup. Tourigny recently completed his first season as head coach and vice-president of hockey operations with the Ottawa 67’s of the Ontario Hockey League (OHL). He previously spent 11 seasons with the Rouyn-Noranda Huskies (2002-13) and one season with the Halifax Mooseheads (2016-17) of the Quebec Major Junior Hockey League (QMJHL). Tourigny also spent three seasons as an assistant coach with the Colorado Avalanche (2013-15) and Ottawa Senators (2015-16) in the National Hockey League. He served as an assistant coach with Canada’s National Men’s Summer Under-18 Team at the 2008 Ivan Hlinka Memorial Cup, and won back-to-back silver medals as an assistant coach with Canada’s National Junior Team at the IIHF World Junior Championship in 2010 and 2011. Love was named head coach of the Saskatoon Blades of the Western Hockey League (WHL) in May after eight seasons as an assistant coach with the Everett Silvertips (WHL). Love served as a guest coach at Canada’s National Men’s Summer Under-18 Team selection camp. He was an assistant coach with Team Canada Red at the 2016 World Under-17 Hockey Challenge, and added a gold medal with Team Canada White in 2015. As a player, Love spent five seasons in the AHL, playing for Albany, Houston, Lake Erie, Lowell and Peoria, before spending the 2010-11 season with the Bossier-Shreveport Mudbugs of the Central Hockey League. 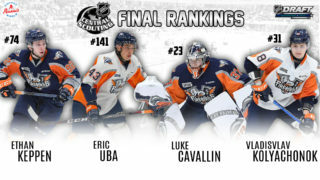 Oulahen just completed his second season with the Flint Firebirds of the Ontario Hockey League (OHL). He previously spent six seasons as an assistant coach with the Brampton/North Bay Battalion (OHL). Oulahen was head coach of Team Canada White at the 2017 World Under-17 Hockey Challenge, finishing fourth, and has been an assistant coach twice at the World Under-17 Hockey Challenge, in 2015 and 2017. 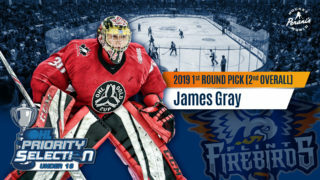 As a player, he amassed over 300 games in four AHL seasons with the Grand Rapids Griffins after spending three seasons with the Battalion. For more information on Hockey Canada and the Program of Excellence, or to purchase tickets to the Hlinka Gretzky Cup, visit HockeyCanada.ca, or follow along via social media on Facebook, Twitter and Twitter.com/HC_Men.